Sometimes I look at other people’s marijuana gardens and notice their buds are phatter and stickier than mine! I wonder how they do it. I used to think it was only because they spent thousands more dollars on their marijuana grow room than I did, or they had better marijuana genetics to start with. Support Your Plant Structure. Marijuana plants grown indoors often have weak stalks and stems, even if you send fan wind onto them to make them stronger. Outdoors, your marijuana plants can grow to several feet in diameter and more than ten feet high. In those cases, providing support for budded branches increases your yield and deters the possibility that a branch full of buds will break off the main stalk. My favorite plant support methods are using plant cages, plant stakes, netting, or trellising. These cost next to nothing, and once you get the hang of it, you see that providing plant supports helps your marijuana plants give you larger, heavier buds. Some of my favorite marijuana strains have branches that are naturally weak, and when I forgot to use plant supports, the branches broke from the weight of heavy buds. You can get marijuana grow books that explain the fine points of plant support, but when you go to a hydroponics store and see trellis netting, plant cages, and stake supports in person, you’ll know what will work best for your particular marijuana growing set-up. 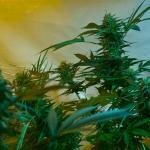 Increase the Size of Your Marijuana Root Zone. A few years ago, it was my first time feeding Roots Excelurator, Voodoo Juice, Piranha, and Tarantula to marijuana plants I was growing in 5-gallon pots. Those products all boost marijuana root size and function. I was used to growing in that size pot when I was not using those products. The roots got much larger than in previous grows, and started coming out of the bottom of the pot. They became rootbound, which means your marijuana plants can’t get enough water, oxygen, and nutrients so growth and growth rate are stunted. Even if you don’t have rootbound plants, if you increase your container size and give your hydroponics marijuana plants time and space to create bigger roots, you will get larger yields and healthier marijuana plants. 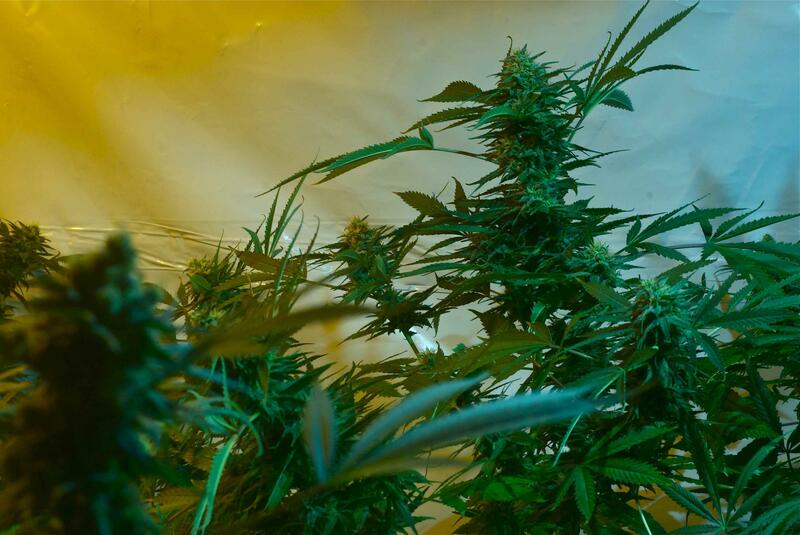 Increase your marijuana plants’ container size by double (go from five to ten gallon pots, for example) and add a couple of weeks in grow phase so you get larger and fatter plant structure, and you’ll see way bigger harvests. 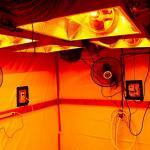 Change Your Hydroponics Feed Program. One of the simplest and easiest things I ever did to increase my yields was to change out the brands and types of hydroponics nutrients I was using. I substituted Sensi Grow and Sensi Bloom pH Perfect base nutrients instead of Botanicare base because I was having problems with Botanicare, just like a lot of other growers are. I called the Botanicare help line but as soon as I said was a medical marijuana grower they cut me off cold. Along with switching to Sensi base, I started using Big Bud and Overdrive instead of a Hesi P-K supplement. You can’t know 100% for sure if a change in hydroponics nutrients is the sole cause of crop improvements until you’ve run a couple of crop cycles using clones from the same mothers and keeping all other factors stable. Not only did I see happier plants and more grams per watt after I switched, I also saw a happier marijuana grower (me) because the pH Perfect base nutrients made it easier for me to rely on pH and get the hydroponics nutrients delivery efficiency my marijuana plants needed. The total cost of these marijuana fixes was much less than the value of the bigger harvests I got. There are times you look at your marijuana grow room and think if you replace your ballasts and lights, get a totally different type of irrigation system, or make other major, big $$$ improvements, you’re going to see a big increase in marijuana yield that pays for the cost of your upgrades.. In some cases, if you invest in the correct upgrades, a big money changeover pays for itself in 1-3 crop cycles. But sometimes you can spend a couple hundred dollars for better hydroponics nutrients or grow room upgrades, and get more marijuana and more potency. It’s a good return on your investment.